September is National Breakfast Month and it’s something that’s easy to celebrate here in Lake Oswego. Check out some of our locals’ favorite spots to jump-start their day. La Provence Boulangerie and Patisserie. Ever since this breakfast spot relocated to the renovated Lake Grove Shopping Village, it has been hopping. Get there before you’re starving as sometimes you’ll have to wait. What keeps the crowds lining up? Outdoor seating is popular as well as favorites like the Wild Northwest Salmon Hash, Risotto Cakes and Eggs, Roasted Oatmeal Brûlée, Croque Provence and their croissants. Gluten free options are available, including gluten-free bread. Hours: 7:00 a.m. to 10:00 p.m. (breakfast from 7:00 a.m. to 3:00 p.m. 16350 Boones Ferry Road, 503.635.4533. Babica Hen Café. Feel the love with fresh, from-scratch food, sourced locally. Goodies include: Lemon Berry Almond Crumble Waffles, Blueberry Brûlée French Toast, and Fire Roasted Tomato Eggs Benedict. Gluten free options (waffles and bread) mean no ones feels deprived. Hours: Tuesday-Sunday, 7:00 a.m. to 3:00 p.m. Breakfast is served all day. 15964 Boones Ferry Road, 503.636.4012. St. Honoré Boulangerie. See for yourself why this was voted the Best Bakery in Portland by Willamette Week readers. The Lake Oswego location serves brunch on the weekends from 7:00 a.m. to 2:00 p.m. with specials like Mimosa pitchers, Croque Monsieur and Brioche Cocotte. Several variations of croissants to choose from and don’t miss out on their café au lait. Hours: Sunday-Thursday, 6:30 a.m. to 7:00 p.m.; Friday-Saturday 6:30 a.m. to 8:00 p.m. (Brunch on Saturday and Sunday from 7:00 a.m. to 2:00 p.m.). 315 1st Street, 503.496.5596. Zeppo Restaurant. Come Saturday and Sunday, this popular lunch and dinner spot is open for breakfast serving up pancakes, frittatas and breakfast burritos. Gluten free pancakes are available as well as egg substitutes. Brunch Hours: Saturday and Sunday: 8:00 a.m. to 12:00 noon. 345 1st Street, Suite 105. 503.675.2726. Lake Oswego Ice Creamery and Restaurant. Choose from traditional breakfast offerings like buttermilk pancakes, Belgian waffles, and omelettes. Be sure to request the marionberry syrup—a Northwest favorite. Breakfast hours: Monday-Saturday, 7:00 a.m. to 11:30 a.m.; Sunday 7:00 a.m. to 12:00 noon. Nola Doughnuts. All the offerings here feature Nola’s signature La-ssant dough which is three days in the making. The exception is the New Orleans style beignet, that comes to you soft and warm as it’s made-to-order. Be prepared to experience doughnuts like no other. Hours: Tuesday-Friday, 6:00 a.m. to 4:00 p.m.; Saturday-Sunday, 8:00 a.m. to 4:00 p.m. Closed on Monday. 365 N. State Street, 503.278.7312. Chuck’s Place. Popular neighborhood spot for fresh baked goods and espresso drinks featuring illy coffee. Hours: 148 B Avenue, 503.675.7861. Kyra’s Bake Shop. Gluten free eaters can have their breakfast and eat it too—everything here is 100% gluten free, and breakfast is served all day. Offerings include: a breakfast sandwich on housemade ciabatta bread, french toast, biscuits and gravy, quiche and yogurt parfaits. Sweet muffins may sound like dessert, but since they’ve won the Food Network’s Cupcake Wars, you may want to try one. Hours: Sunday-Thursday 7:00 a.m. to 5:00 p.m.; Friday-Saturday 7:00 a.m. to 8:00 p.m. 599 A Avenue, 503.212.2979. Saturday and Sunday 7:00 a.m. to 3:00 p.m. 73975 Mercantile Dr., 503.805.1883. Biscuits Café. Breakfast eaters weigh in on Yelp with rave reviews for their biscuits, gravy, chicken fried steak and fresh strawberry jam. Hours: Monday-Friday 6:30 a.m. to 2:30 p.m.; Saturday 6:30 a.m. to 2:30 p.m.; Sunday 7:00 a.m. to 2:30 p.m. 4200 Mercantile Drive, #790, 503.305.8058. If we missed one of your favorite spots, let us know by leaving a comment. Learn all there is to know about living in Lake Oswego. Click the “Sign me up” button in the top right hand column and receive weekly updates to your inbox. 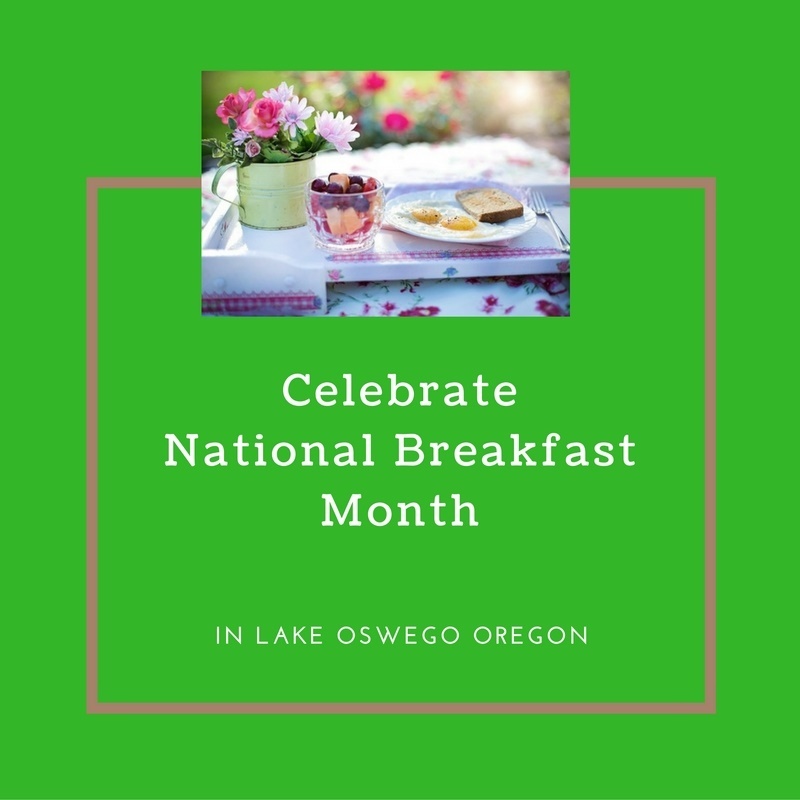 This entry was posted in Lake Oswego Restaurants and tagged breakfast, breakfast spots in Lake Oswego Oregon, Lake Oswego Oregon, National Breakfast Month. Bookmark the permalink.